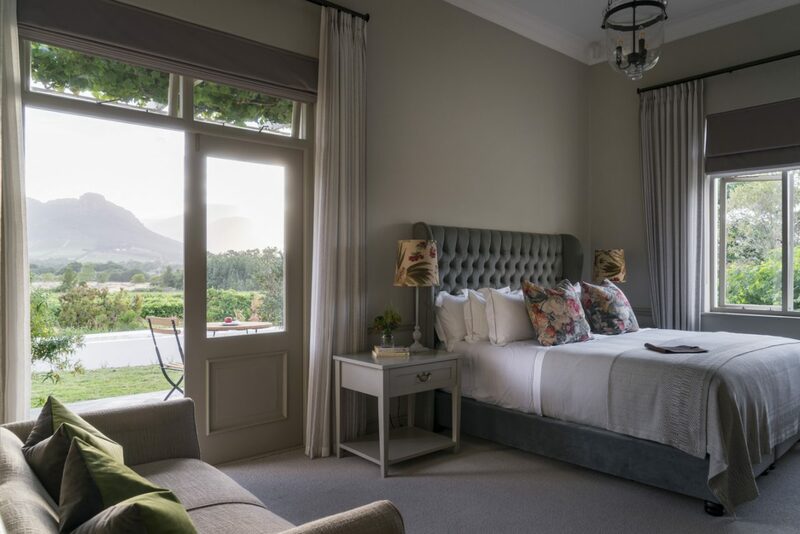 Honeymoon Suite One boasts views overlooking the Pool and Deck area, across the Vineyards and onto the majestic Franschhoek Mountain to the South. 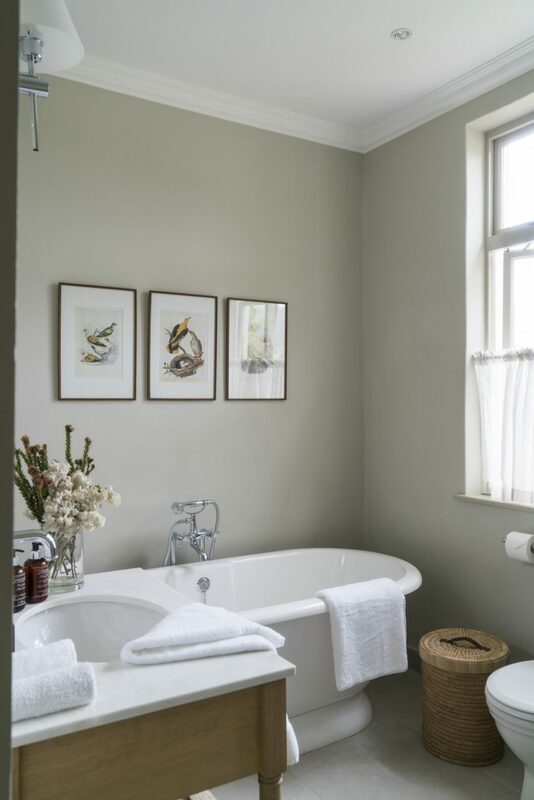 Beautifully designed with comfort the key, Studio Parkington has blended a tranquil palette of dove grey with pops of fresh floral motifs. 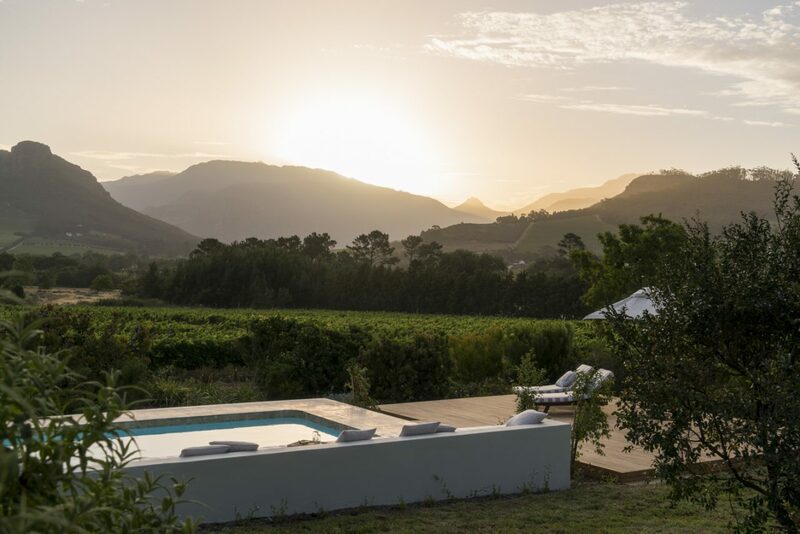 The en suite bathroom’s generous bath encourages long, languid soaks when you can tear yourself away from the views from the private veranda. 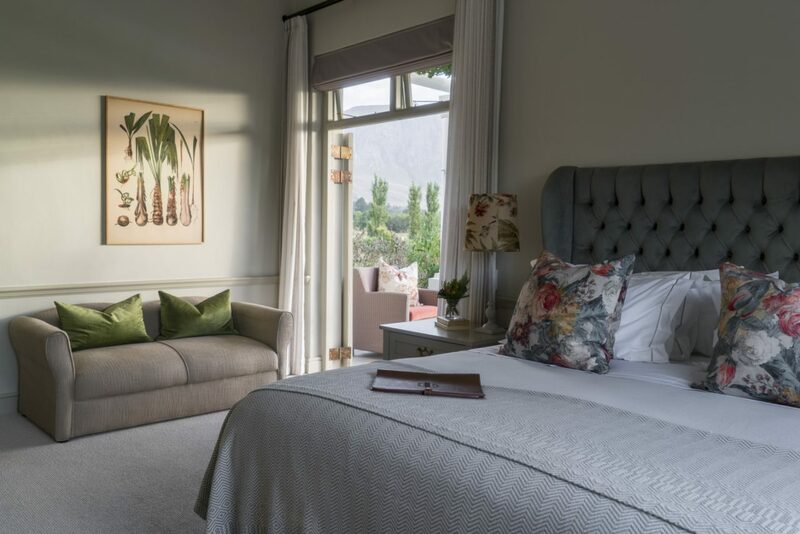 Soft carpet underfoot, the finest linen and amenities like air conditioning and underfloor heating are just some of the deft touches employed to make you comfortable and completely relaxed.